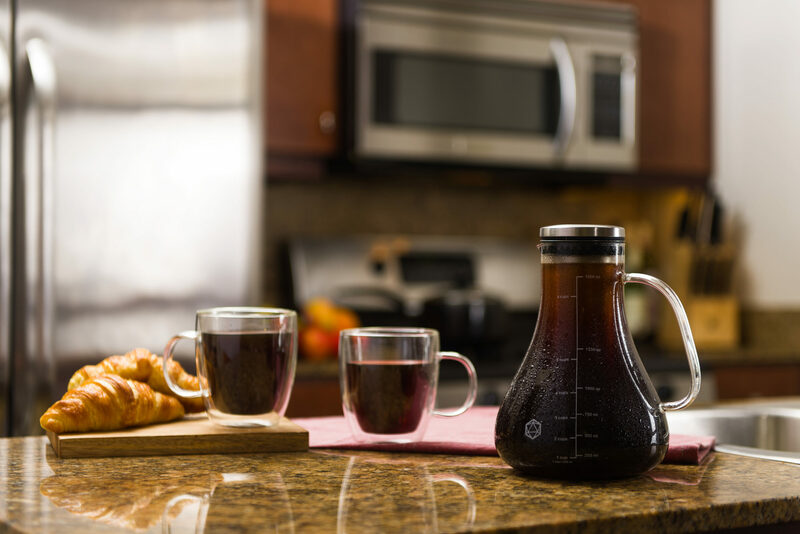 Cold-brew systems have been around forever, but this seemed like a slightly better-quality, and slightly more attractive, version of what was already on the market. This Filtron model is one of the classic mainstays, but aside from being pretty homely (it hasn’t changed much over the decades because it hasn’t had to), it uses filters that have to be replaced—I already have to worry about those for both my siphon brewer and my AeroPress, so the Arctic’s permanent filter was more appealing. Collini has a brewer that is pretty similar to the Arctic in looks and setup, but it is $55 full price (though you can usually get it for around $30 on Amazon) and only holds one liter instead of the Arctic’s liter and a half. And tempted as I might be to get a Kyoto-style cold dripper like Steamship Coffee in Minneapolis has, that’s just a little more fuss than I’m looking for. 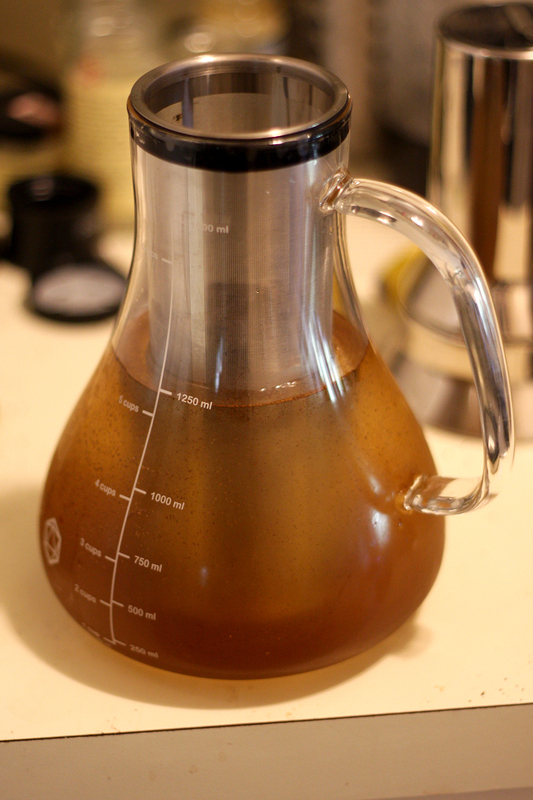 And yes, for the record, I know you don’t actually need special equipment to make cold brew—one Twin Cities Geek contributor told me she does it with a mason jar and a French press, and our esteemed editor-in-chief uses a funnel and an ice-cream bucket. But I’d never gotten around to doing it with what I had on hand, and I knew making it easy for myself would make me much more likely to do it. Despite the fact that the Kickstarter had reached its goal several times over by the time I got to it—the Arctic ultimately raised over $600,000 on that site alone, and the creators also campaigned on other crowdfunding platforms—I backed it for two reasons: timing and money. Timing in that I would get it sooner than waiting for it to go on the market, and money because the planned retail price for the Arctic is a whopping $89, which was significantly more than I was willing to pay. That was my main criticism of this product before even receiving it—I would pay $49 for it, but would it be worth $89? According to one of the first emails I got after backing the Kickstarter, all of the carafes are handblown, which may account for some of that price tag, but it still seemed pretty steep. The original estimated ship date was March, but that was quickly pushed back to April due to the huge number of orders, then to June because of production delays. Par for the course with Kickstarter projects and not something I was bothered by—though in the meantime, our office got an espresso maker, which took away some of the motivation for getting the Arctic. I got the notice that my package had shipped at the end of June and it arrived a few days later via Amazon fulfillment, in classic Amazon style with tons of extra space in the box. 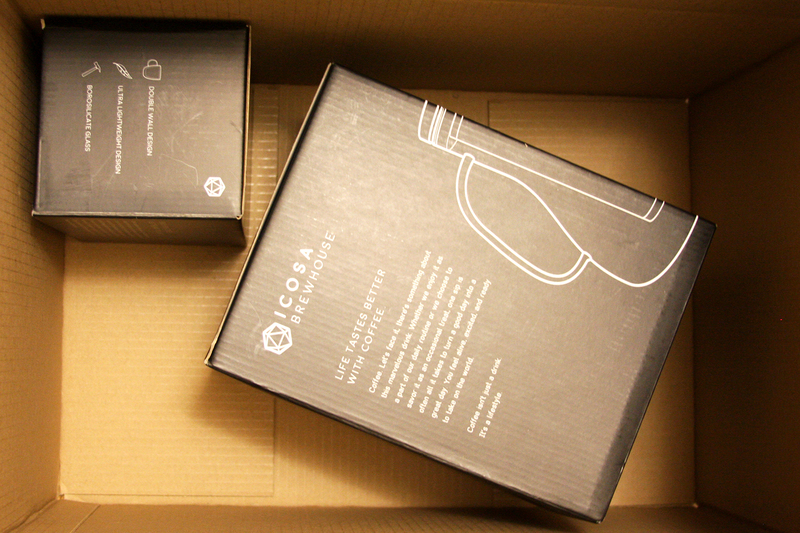 The product boxes themselves were good quality and mostly well packaged, though the Styrofoam shells surrounding the carafe weren’t properly taped together, so if I hadn’t been paying attention when I unpacked it, I would have had shattered glass all over my living room floor. That said, the Styrofoam fit safely and snugly in the box (definitely something to hang on to for the next time I have to pack up my kitchen and move). The glasses were well bubble-wrapped and secured in place with cardboard dividers. Both the carafe and the mugs were lighter than I thought they’d be—at first, I thought I’d misremembered the online description and that the mugs were plastic, but they’re just very lightweight borosilicate glass. The parts seemed to fit together well—the seals seemed snug, if not especially heavy duty. Amazon packing at its finest. Prewashing everything, I was happy to find out that the neck of the carafe is just barely big enough for me to fit my small hand into, which will be good for keeping it clean, though it’s a tight fit. If you’re bigger than a five-foot-four woman, you’ll probably need a handled brush. I could just barely reach the bottom of the filter with a sponge, which was fine for washing the new components but not enough for post-brew cleaning. 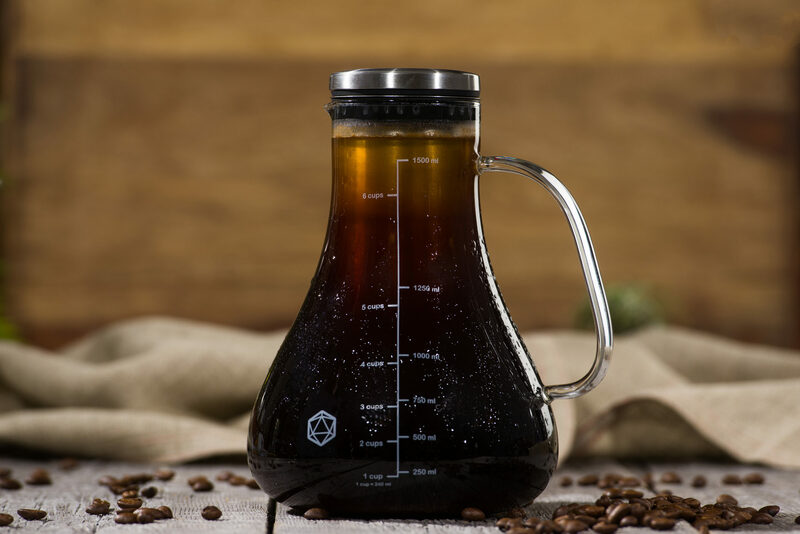 Another point worth mentioning is that the suggested 1:14 ratio is in the range of what’s usually recommended for cold brew that’s ready to drink right away rather than meant to be used as concentrate, but it’s the concentrate style the makers talk about on their Kickstarter page. The filter can’t hold all that much more than 15 tablespoons once you account for the grounds expanding after they get wet, so to make stronger coffee, you’d mostly have to use less water. All of this means that the maker’s claims that the Arctic’s 1.5-liter capacity makes enough cold brew to last one to two weeks is a little disingenuous for two reasons: first, because of the displacement and absorption by the grounds, it’s basically impossible to make a full 1.5 liters of coffee in a single batch with this brewer; and second, unless you drink pretty weak coffee, a full batch is just not going to last you anywhere near that long. This is something I could have figured out beforehand if I’d given more thought to it, but it’s still a little disappointing. As for the brewing itself, though, no problems to report. 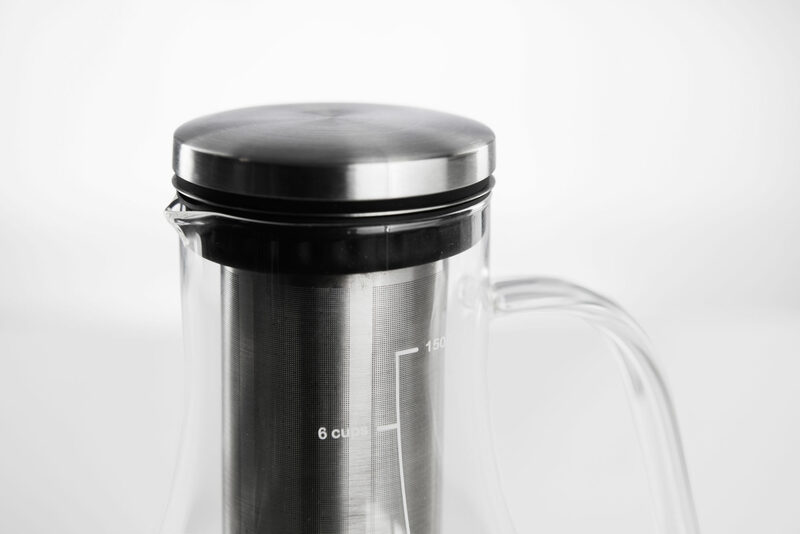 Everything is stainless steel and glass, so there’s nothing to affect the taste of the coffee. The Arctic uses a micron filter, so very few coffee fines made it through—if you have a good grinder instead of the subpar burr grinder I bought on deep sale six months ago and now regret, you probably won’t get any fines at all. The lid fits well whether or not you have the filter inserted, which I’ve heard can be a problem on some other models, and the spout pours nicely. Other than my minor quibble about capacity, the Arctic is as advertised. The quality is good overall (though I wouldn’t recommended it if you think you’re likely to bump the carafe into anything), it looks nice, and its bottom-heavy design means I probably won’t accidentally knock it over in the fridge. One thing I’ll be keeping an eye on is the rubber seals on the filter and lid—those are usually the first thing to go on anything like this, but these seem like they could potentially wear out more quickly than those in some products I’ve owned. One thing I noticed is that there’s almost no information online about the supposed maker of the Arctic, ICOSA Brewhouse, or the people behind it. The only press contact is “Johnny,” no last name, and their crowdfunding campaigns and Facebook page list Inspired Lifestyle as a sort of parent company—one with no information other than a vague landing page and contact form on its website. It’s not clear whether the Arctic campaign was a big company taking advantage of crowdfunding or, at the other end of the spectrum, a tiny operation trying to look bigger than they are. For more information about the Arctic, follow ICOSA Brewhouse on Facebook. They also have a website, icosabrewhouse.com, but at the time of this writing it only directs to the Kickstarter page. I bought this for my husband and, as you’ve said, the delays were incredible. This was something I hadn’t expected or prepared for but was fine. Then it arrived and it was great…for all of the 3 times he used it. He said it let fine grounds into the brew so I just got him a grinder and beans for Christmas. When he went to get the jug (which he’d been hand washing) we noticed 3 cracks radiating out from the bottom of the handle on the jug. So VERY disappointing. I’ve emailed them, looking for a replacement, but also have no idea if or when someone will get back to me. I will keep at them until I hear back but I would NOT recommend this system. It can’t even survive careful handling. I can’t comment on the quality of the coffee. That’s disappointing. For my part, I haven’t had any problems with the quality or with too many fines getting into the brewed coffee (though a few are par for the course), and I’d say I’ve been using it on average a couple times a month since August. But I’ve noticed more and more brewers with a similar design popping up since this one hit Kickstarter, so there are definitely cheaper options, and some of them are probably made of less delicate glass. I as well am disappointed. I bumped the bottom of the carafe as I was removing it from the frig and it burst and coffee spilled everywhere. It went in every drawer between the glass shelves and the into the seals. It is a huge mess. Spent hours taking everything apart and cleaning. Way too delicate. Ouch! That’s definitely why I mentioned it in my final thoughts—especially bad that it happened when it was full. I haven’t had any issues with the carafe myself, but I do feel like I have to be a lot more delicate with it than most of the other glassware I own. I might be the only person to have thought to develop a non-glass based cold brewing system. Im actually going to be launching the kickstarter this month – You should check it out! Its meant to be super durable and portable. I use it at work and keep it in the work fridge. Hi, Nick—you can send press materials to [email protected]. This article is an outlier in terms of my normal coverage areas on the site, but it’s possible that I or one of our other writers may be interested.